Pakistan 7-195 (Mohammad Hafeez 86, Ahmed Shehzad 46, Rory Kleinveldt 2-27) beat South Africa 100 (AB de Villiers 36, Rory Kleinveldt 22, Umar Gul 5-6, Mohammad Hafeez 3-25) by 95 runs. Pakistan amassed 195 runs for the loss of seven wickets in the stipulated 20 overs and the innings of the Proteas was rolled back for 100 in 12.2 overs. 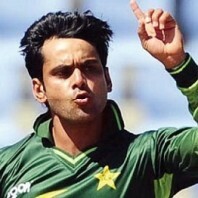 Mohammad Hafeez (Pakistan) was declared ‘Player of the match’ for his superb performance in the game. The second Twenty20 was played on Sunday, March 3, 2013, at SuperSport Park, Centurion. Earlier, Mohammad Hafeez, the skipper of Pakistan, won the toss and elected to bat first on a good looking strip. Nasir Jamshed and Ahmed Shehzad started off their innings with boundaries and added 17 runs in the third over with 1 six and 2 fours. 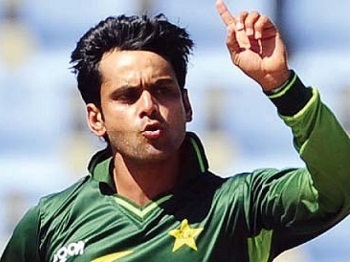 The first was gone in the next over at 29 after scoring 13 and was replaced by Mohammad Hafeez. The tempo was maintained by the batsmen and they scored 16 runs in the 6th over with 1 six and 2 fours. Mohammad Hafeez hit another 2 fours and 1 six in the next couple of overs and it was a rain of boundaries from the Green Shirts. The first hundred of the innings was displayed on board in the 11th over with 2 fours as Ahmed Shehzad was unluckily run out for 46 off just 25 balls with 2 sixes and 6 fours. Mohammad Hafeez took over from thereon, continued his onslaught and dispatched 18 runs in the 14th over comprising 2 huge sixes and 1 four. He was going great guns till he was gone hit wicket for 86 off 51 mere deliveries with 4 gigantic sixes and 9 sweetly timed fours. Shahid Afridi remained unbeaten for 19 off 13 with 3 fours as Pakistan hammered 195 runs with three wickets remaining after 20 overs. Rory Kleinveldt and Chris Morris were the top wicket takers with two wickets each whereas Kyle Abbott and Lonwabo Tsotsobe shared one wicket each. AB de Villiers and Henry Davids took off nicely by scoring 12 runs in the first over. AB de Villiers scored the first six of the Proteas innings on the third ball of the second over and Davids was caught by Saeed Ajmal at mid-on at the bowling of Junaid Khan for seven runs. 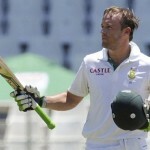 AB de Villiers added 14 runs in the third over with 1 six and 2 fours followed by another two boundaries in the next over. Umar Gul changed the complexion of the game by dismissing three top order batsmen in the fifth over. The South African captain, Faf du Plessis, lost his wicket for six runs whereas Chris Morris and Justin Ontong went back to the dressing room without opening their accounts. AB de Villiers was clean bowled by Mohammad Irfan for 36 off 22 with 2 sixes and 4 fours in the next over and Farhaan Behardien became the next victim of Umar Gul for a duck. The hosts lost their seventh wicket at 67 in 10 overs as Robin Peterson and Rory Kleinveldt stopped the invasion of the rival bowling. The duo gathered 17 runs off the 11th over with 1 six and 2 fours that was bowled by Saeed Ajmal. Kleinveldt hit two back to back sixes on the second and third ball of the following over off Mohammad Hafeez but the bowler came back in removing him on the fourth ball for 22. 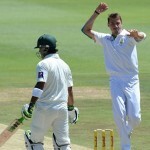 Peterson was caught smartly by Shahid Afridi on the very next ball for 13 and the entire South African team was bowled out for exactly 100 runs with 46 balls to spare. Umar Gul was the star performer who grabbed five important wickets for just six runs and he equalled his previous record which was earned against New Zealand earlier. 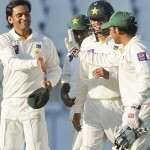 Mohammad Hafeez chipped in with three wickets whereas Mohammad Irfan and Junaid Khan claimed one wicket each. Pakistan won the Twenty20 with a huge margin of 95 runs and lifted the two match series trophy 1-0 since the first game was washed out on March 1, 2013, at Durban.